Rume is under attck. The Autumn Lords, rulers of the Tchinee empire, have had their true nature revealed. The Emperor descends into madness. And Fisk and Shoe – unlikely heroes, very likely mercenaries – must find their way to Fisk’s wife and child, who he has never seen. 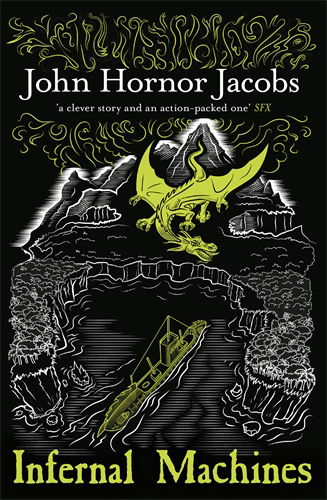 John Hornor Jacobs has been nominated for the Bram Stoker Award, the Gemmell Legend Award, the Gemmell Morningstar Award and the Reddit Stabby Award. He won the Darrell Award (2011) and the Gold Moonbeam Award for Children’s Literature.